An investigation is underway in the Chinese city of Xi’an to determine how maintenance staff at a residential apartment complex failed to locate a woman who died while trapped in an elevator for a month. Markings on the inside of the carriage suggest the woman had tried desperately to escape or to alert any passersby to her situation. Power to the elevator had been cut off by maintenance staff at the high rise apartment building. 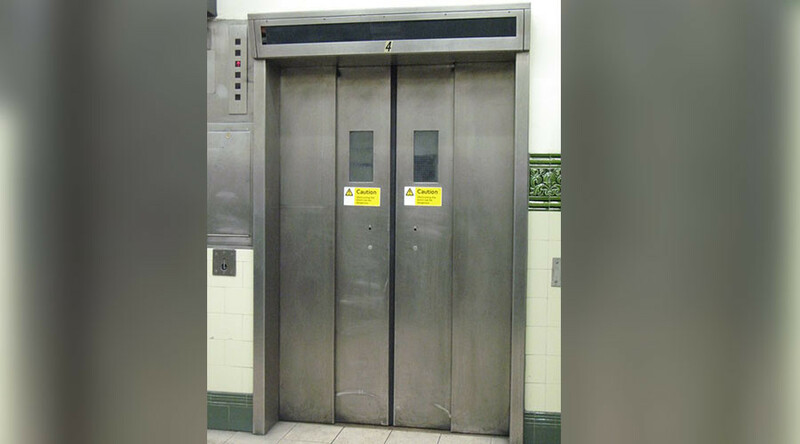 Workers made the grim discovery on March 1, in an elevator that had been out of action since late January. Inside they found the remains of a 43-year-old woman, who is believed to have starved to death. According to Shanghaiist.com, the workers had shouted into the lift’s carriage to check if anyone was there but they failed to physically open the doors. A break in work shifts for the Chinese lunar new year period may have contributed to the delay in workmen returning to the elevator. The elevator discovery in Xi’an comes after a horrific escalator accident in Jingzhou, north east China last year, in which a 30-year-old woman was killed after falling into a hole which opened up at the top of the rotating steps in a shopping mall. A video of the horrific incident showed the woman pushing her two-year-old son to safety as she fell to her death. The death was blamed on an oversight by staff who failed to fix loose metal flooring at the top of the machine, the Shanghai Daily reported. 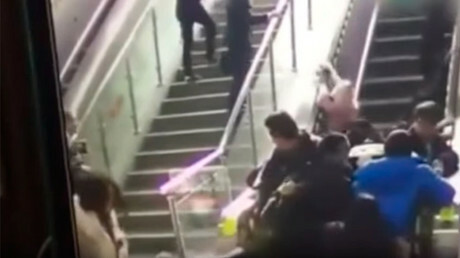 The Jiangzhou escalator accident was one of three high-profile elevator tragedies in China within the space of one week last year. Time reports that in separate incidents, a toddler and a 35-year-old shopping mall employee were each seriously injured.